The price differential is still there, augmented by higher quality and healthier formulations. The writing is on the wall … or the cash register tape. Sales of branded food and beverage products were up less than 1 percent last year. In contrast, sales of store brands (aka private label, house brand, own brand, retailer brand or the passé moniker generic) products grew about 1.7 percent in the year ended May 14. Unit market share for private label in U.S. supermarkets is now 23.5 percent, according to The Nielsen Co.
Retail sales of store-branded products hit $88.5 billion (including Walmart) for 2010, according to the Private Label Manufacturers Association (PLMA), citing Nielsen data. That's 19.1 percent of the $352 billion in food and beverage sales in the Nielsen database. If you add private label sales in channels and retail chains that do not report to Nielsen – including warehouse clubs (Costco, Sam's, BJ's) limited-assortment stores (Whole Foods, Aldi, Trader Joe's), convenience stores, dollar stores and other specialty retailers – the figure probably exceeds $100 billion, according to PLMA. Major retailers — such as Walmart, Whole Foods, Kroger, Aldi, Costco, Safeway, Loblaw, Target, Supervalu, Publix and Ahold — offer full lines of store brand products, including canned goods, frozen foods, bakery items, cereal and snacks. These retailers have the advantage of lower marketing costs, and they also control shelf space for their store brands. While usually – though not always – being cheaper, store brands also drive up the ultimate marketing costs for their national brand competitors, who must spend even more promotion to maintain their leading position and value. Ironically, store brands are in large part produced by large national brand manufacturers. H.J. Heinz Co. and ConAgra Foods use their expertise and excess plant capacity to supply store brands. Ralcorp Holdings Inc. (at last report still being pursued by ConAgra for its private label prowess) is overwhelmingly dedicated to private label, although it bought the Post cereal business from Kraft Foods in 2008. TreeHouse Foods, our reigning Processor of the Year, is a $1.8 billion behemoth entirely devoted to the category. The product development philosophy behind the company is to be a "fast follower" first, then an innovator. A 2011 study by GfK/Roper for PLMA that asked consumers how they feel about store brands revealed some interesting shopping behavior. A majority of consumers continue to purchase store brands "frequently." More than half say they buy the supermarket or grocery store's store brand products "frequently" when they do the main household shopping, a response that has exceeded 50 percent the past few years. "Awareness" of store brands remains high and is increasing. More than half in the study say they are now "more aware" of store brands than they were a year ago. Also on the rise is the percentage of consumers who say they are "buying more" store brands. One-third report they are buying more now compared to a year ago. Eight out of ten believe private label is either "equal to" or "better than" national brands. 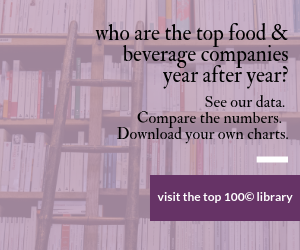 The percentage of consumers who judge private label to be "equal to or better than" national brands rose to 80 percent, up from 77 percent in 2009. Half of consumers believe the supermarket or grocery store's private label products they now buy have been "improving." The percentage who says store brands have improved either "greatly" or "somewhat" as compared to a few years ago is up to 49 percent, up 10 points since 2009. "Brand-level quality is fine, but we think of it as the starting point," Terry Bleecker, senior director of R&D at Bay Valley Foods, TreeHouse's primary operating unit, told us last December. "Then we ask, 'How can we do it better?' We look at every step in the creation of a new product and determine where we can improve the process to meet the goal of delivering a superior experience to the consumer." Other providers include smaller manufacturers that specialize in particular product lines and concentrate on producing store brands almost exclusively; major retailers and wholesalers with their own manufacturing facilities; and regional brand manufacturers that produce private label products for specific markets. In September last year, Planet Retail predicted private-label sales at the top 30 grocers will increase 40 percent to $209 billion by 2014, accounting for 24.1 percent of total grocery sales. Topping Planet Retail's private label report is Walmart, whose private-label grocery business is larger than Kroger's and Costco's private-label sales combined. Past perception by consumers of lower quality products has changed. Wisely, store brands have updated their packaging and rolled out premium lines (particularly healthier product options) to appeal to shoppers who seem increasingly willing to try these products because of better variety and lower prices. It's a successful strategy for store brands borne out by a recent Gallup poll, which found that almost nine out of 10 consumers rated premium store brand products equal in quality or better than national brands. It's no surprise store brands give national brands a run for their money, according to the Hartman Group (www.hartman-group.com), Bellevue, Wash. "In many instances, shoppers no longer can distinguish between national and private label brands," said a recent Hartman report. "What's most interesting is not so much the fact that it's happening, but that people don't really care that they don't know the difference. The importance of branding and the badge value of brands in the past are giving way to a greater emphasis on the product and the overall experience controlled by the retailer." Consumer Reports gave a ringing endorsement to store brands quality and value. A Sept. 8, 2010 report, "It Pays to Buy Store Brands," said if concern about taste has kept consumers from trying store brand foods, they should hesitate no more. In blind tests, professional tasters compared a leading national brand with a store brand in 29 categories. The store brand tasted "equally good or better" than the national brand in 23 categories. As for value, filling a shopping cart with store brands saves an average of 30 percent, so if a consumer spends $100 a week on groceries, those savings add up to more than $1,500 a year. Yet some shoppers are still reluctant to try store-brand products. The top reasons, according to same Consumer Reports story, were: "I prefer name brands," "The name brand tastes better," and "I don't know if store brands are as high in quality." Respondents 18-39-years-old were particularly likely to question the quality of store brands. Retailers rack in bigger profits on their store brands, and they pass the savings on to consumers. A new study conducted by PLMA of comparative prices on a wide range of everyday supermarket purchases revealed that on average shoppers can save 33 percent off their weekly grocery bill by purchasing store brands rather than national brands, a great incentive to be sure. Tracking 40 essential household items and pantry staples at a conventional supermarket, the study indicates that consumers who choose the store brands on the list rather than the national brand could save $42.30 on average on their total market basket. When buying the national brands the 40-item purchase totaled $127.03 on average over six separate trips, while the store's brands totaled $84.73. Cost savings on food items ranged as high as 46.8 percent on carbonated beverages to 40 percent on pasta sauce. But even if shoppers aren't buying store brands, just having those products in the store is likely saving them money, according to a study from Arizona State University, reports the Tampa Tribune. Amidst increased competition and as commodity inflation threatens to erode profits, an assortment of supermarkets are banking on the restorative effects of private brands, with strategies running the gamut from measured to risky, according to the annual survey of Center Store performance by Supermarket News. Half of grocers report having swapped out national brands for private label during the past year in at least one of the categories in which they compete, "Not sure if this is the best move, but yes, we have experienced this and our customers are noticing," said one retailer who's adopted the strategy. Moving forward, 42.3 percent of grocers polled expect to replace national brands on the shelf with private labels in at least one category. The same number will let their national-brand/private-label mix be, and 15.4 percent said they might replace national brands with own brands. "When grocery stores offer these competitive store-brand products, it forces the brand-name companies to lower the wholesale prices they charge the grocery stores," Timothy Richards, the W. P. Carey School of Business professor who headed the study, said in a statement. Aside from offering customers discount prices, stores are using their private labels to distinguish themselves from the competition, counting on higher-quality prvate label products to bring back customers, the Arizona State study concluded. "Many stores also offer good, better and best labels, like a super-premium brand, to help cater to a wider variety of consumers," Richards said in the statement. "All store brands offer the grocery chain a higher profit margin than the brand-name products." One of the reasons store brands are growing in popularity is their focus on healthier-for-you. Healthy store brand initiatives include Safeway's O Organics and Eating Right offerings, Kroger's Private Selection and Albertsons Wild Harvest organic lines. Bentonville, Ark.-based Walmart is pushing the envelope even further. Building on First Lady Michelle Obama's Let's Move campaign to make healthy choices more convenient and affordable for families, the nation's largest grocer unveiled a comprehensive effort to provide its customers with healthier and more affordable food choices – and its own brand is a huge part of that effort. Promising to reformulate thousands of everyday packaged food items by 2015 by reducing sodium 25 percent, added sugars by 10 percent and by removing all remaining industrially produced trans fats, the retailer is working with suppliers to improve the nutritional quality of national food brands and its Great Value store brand in key product categories. Be a brand that the retailer cannot be – Leadership in exclusivity, product safety, social causes, innovation and sustainability can help build distinctive advantages that translate into competitive advantages over retailers and other brands. Be irreplaceable – Consumer product companies can learn from retailers like Trader Joe's, which appeals to both value-seeking and health-conscious consumers with a unique product portfolio, some 80 percent of which comprise private labels and, in some cases, destination brands in their own right. Shed homogeneity – National brands can deliver personalized customer experiences to compete against uniform store brands. For example, Mars Inc. offers M&M chocolate candies with personalized colors, text and logos. Create a retailer-specific product portfolio – As retailers develop multi-tiered product portfolios tailored to their consumers, national brands can develop a retailer-specific strategy to compete against low-end, mid-range and premium products, which could include manufacturing private label goods. Leave retailers bricked and mortared – While physical or multi-channel retailers may be preferred, consumer product companies should look to establish a stronger online presence and direct-to-consumer initiatives, providing consumers – who are turning to online/digital tools when shopping – several research and purchasing channels. Manufacturers and retailers are partnering to create innovative ideas that have a big impact. Will the category's 'quality copy-cat' reputation hold up after the recession?